Richard Pedranti Architect (RPA), a full-service architecture firm focused on sustainable design, and Ecocor, a construction company that manufactures, delivers and assembles high performance Passive House buildings, surveyed Americans and found that regardless of how much they pay to heat their home, more than half of respondents struggle to feel comfortable in their homes during colder months. This is not just causing physical discomfort, but emotional discomfort as well, considering 67% of respondents said that deciding how to keep their home comfortable during the winter months causes disagreements with a spouse, partner, roommate or children living in their home. Twenty-three percent of those surveyed said that they feel “uncomfortable” or “very uncomfortable” in their homes during the winter months. Forty-three percent of respondents report that there are rooms in their home that they avoid or cannot use because they are uncomfortably cold, claiming that on average, 28% of their home is unusable because it is so cold. Only 16% of those surveyed reported feeling “very comfortable” in their home during the winter months. Passive House is the most stringent, low energy building standard in the world. Common in many European countries, Passive House takes advantage of super-insulated walls, internal heat gains and the sun coming through well-situated windows to produce the highest level of interior comfort available in a building today. Regardless of the weather outside, this modern approach to building reduces energy consumption 80 to 90 percent compared to a conventional home, and maintains a comfortable 68 to 72 degrees indoors all year-round. Passive House also improves indoor air quality with a continuous supply of filtered fresh air. A ventilation unit transfers thermal energy from the air leaving the house to the fresh air coming into the house which maintains the homes temperature while circulating fresh air throughout the home every three hours or less. Slightly over 200 people living in detached homes, townhouses and rowhomes in areas that experience a winter season completed the survey. 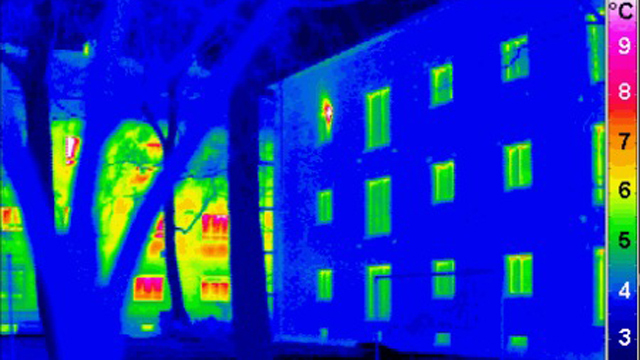 RPA and Ecocor partnered with Passive House Maine to disseminate the survey. Ecocor is a construction firm that designs, manufactures, delivers and assembles high performance buildings throughout North America. Ecocor’s patent pending foundation and wall designs reduce energy consumption for heating and cooling buildings by 80-90%, which substantially reduces the cost of ownership and the building’s carbon footprint, while increasing the comfort of its owners. Using panelized building components as a construction platform, Ecocor has better control, higher quality and much shorter time-to-occupancy than any site-built construction. Learn more at http://www.ecocor.us/. Richard Pedranti Architect is an innovative architecture firm located in the heart of the Upper Delaware River Region specializing in environmentally conscious building strategies. The firm is distinguished by its proven ability to create beautiful buildings that achieve the rigorous Passive House standard. Combining intelligent modern design and 21st Century building standards, RPA creates simply extraordinary places that exist in harmony with the environment and fulfill the unique aspirations of each client. To learn more go to https://richardpedranti.com.